Darling point is among the most-desired suburbs in Australia to reside, due to the great views on Sydney Harbour. It’s regarded as one of the most exclusive suburbs in Australia and that’s why residents from this area should hire Fusion Locksmiths to take care of their locks and security devices. Darling point residents deserve the best locksmith services available in the area. 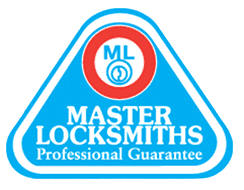 That’s why Fusion Locksmiths, a family run business having delivered these services for the past 9 years is the best company to consult for locksmith services in the Eastern Suburbs. Our team works closely with the police force to ensure there are fewer security issues in your Darling Point home. We’ve got solutions to all your security concerns in your home and that’s why you should contact us and request our skilled and professional services from our well-equipped team in Darling Point. Whenever you need security services in Darling Point contact Fusion Locksmiths to assist. Call us today and speak to a well-trained locksmith who’ll speak to you in detail and understand the issue you may be facing. Our Darling point locksmiths will recommend a solution that’ll suit your budget while providing the best services. We’ve got 9 years of experience working in the area so we’ve definitely got you covered. Fusion Locksmiths are fully trained and have the necessary licenses. Our locksmiths always wear Fusion Locksmiths uniforms for identification while carrying out their services. As a family-owned business, our team does their very best to ensure both your family and home are safe and secure at all times. 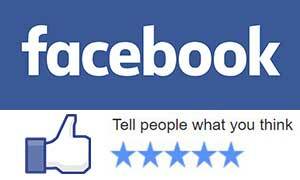 Work with us today and recommend us to your friends and family due to our high level of professionalism. Fusion Locksmiths specialize in lock-out services 24 hours a day, 7 days a week making us one of the best in fast response, in and around Darling point. We’re dedicated to offer and give you the best services. Our locksmiths are fast, friendly and knowledgeable on the different sets of locks that can work and fit well with your homes architectural design. Call us today and let us assist you to secure your home and property from any potential criminal activities that may deter the safety of your home. Fusion Locksmiths are police checked to ensure our customers get services from the very best approved by law enforcement authorities to work on your home and enhance security levels.